KUCHING: The immigration autonomy of Sarawak has shielded the people from various undesirable elements from outside, said Chief Minister Datuk Patinggi Abang Johari Tun Openg. He said Sarawakians must count themselves fortunate in that aspect of being shielded, primarily from elements promoting racial and religious bigotry for whatever reason. “Our immigration power is our right as enshrined in the Federal Constitution which no one can take away from us. “I not only say it here because I have pointed this out to the Steering Committee on MA63 (Malaysia Agreement 1963) chaired by Prime Minister Tun Dr Mahathir Mohamad that our immigration autonomy is a right that is not open to any negotiation,” he said when officiating at the state-level World Interfaith Harmony Week, here, today. His speech text was read by Sarawak Minister of Welfare, Community Wellbeing, Women, Family and Childhood Development, Datuk Seri Abdullah Fatimah. 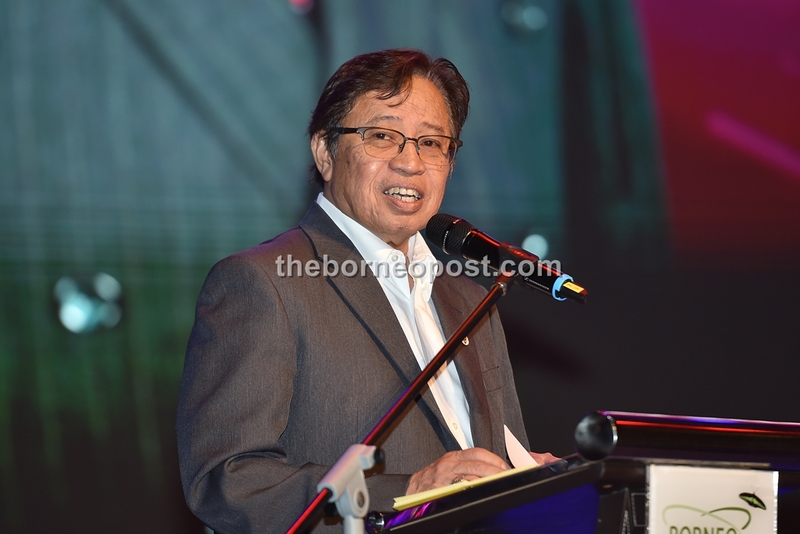 Abang Johari said the people in Sarawak were very fortunate to inherit a statehood that was naturally diverse in cultural heritage and religious practices, and such an interaction among them had somehow moulded them to become peace loving and able to accept others in their midst. “We must continue to build bridges between us for Sarawak needs all of us to be united and to be developed economically,” he said. The chief minister said the state government would continue to look for ways to bring in more revenue to be given them back to the people in the form of infrastructure and facilities such as good, comfortable churches and temples. Although the state now had some extra revenue from the imposition of five per cent sales tax on petroleum and gas products for export, he said it could not afford to waste its resources at the expense of the people, especially those in the rural areas who were in dire need of good roads, and electricity and water supply.